While I was a big fan of He-Man as a kid, I won't lie to you: I don't much care about the She-Ra components of Masters of the Universe. 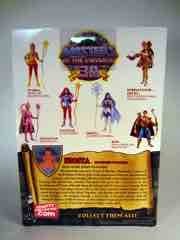 The 2002 line pretty much nailed it... you got She-Ra, and that was it. 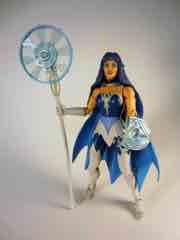 Now we're seeing more people from Etheria, and curse the Four Horsemen for doing them all so well. 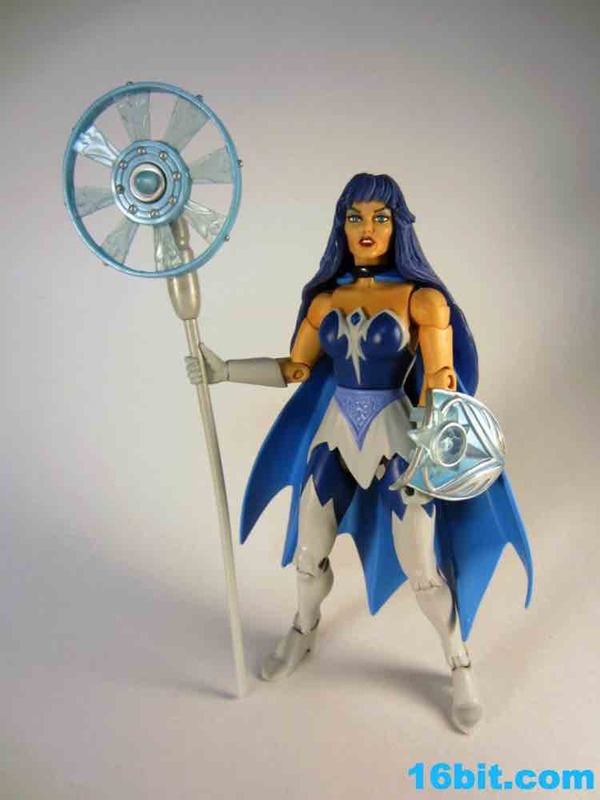 I cracked open Frosta and dammit, she's pretty good. Mattel managed to crank out a doll for girls into a decent action figure, again, and it just seems wrong. 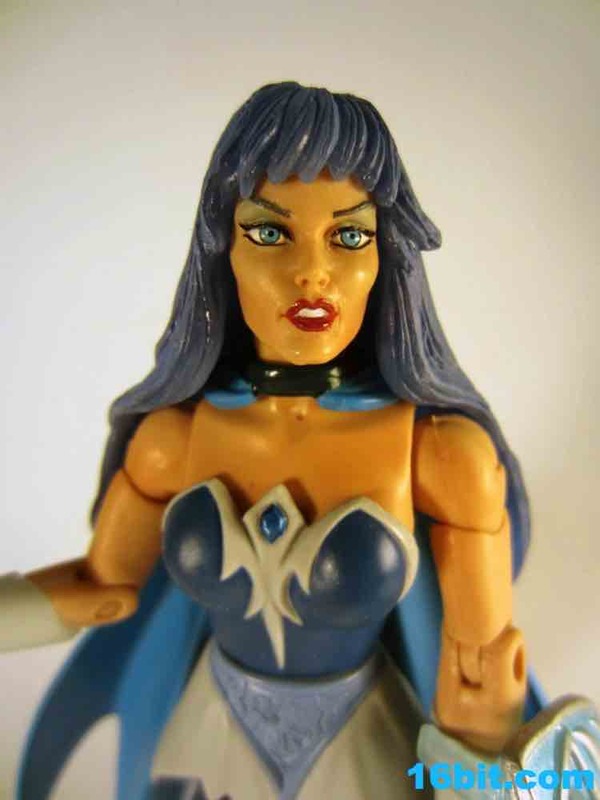 Drawing inspiration primarily from the old cartoons, Frosta nails the animation model in toy form in virtually all ways save for her hair color. 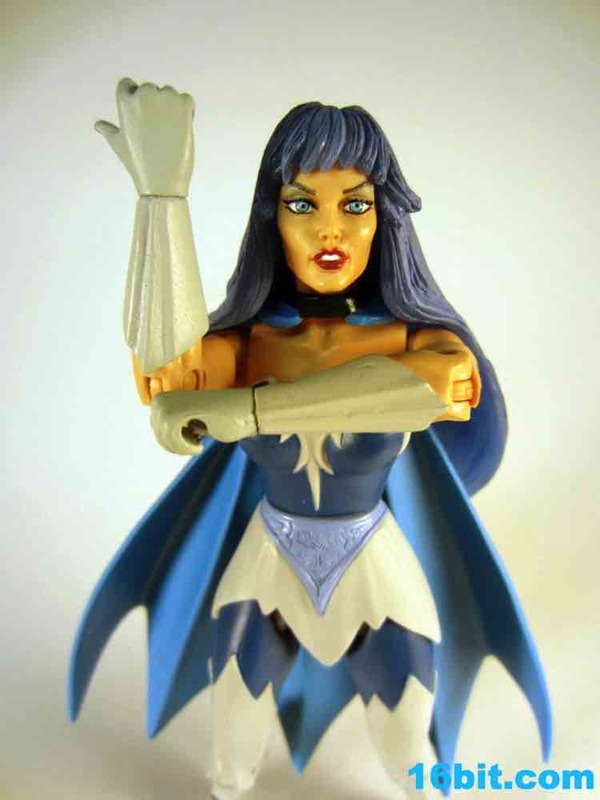 The action figure is a smidgen darker, but she retains the gloved hands, blue-and-whiteish dress, and managed to translate the spinning accessory into something that looks more like a weapon. The comb from the original was (thankfully) dropped entirely, instead we got a swell shield. I like the design bunches. 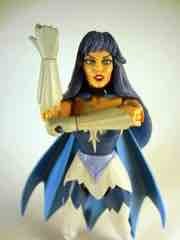 The sculpt is pretty great, with a fair amount of personality and a new costume. Mrs. 16bit mentioned that Frosta had a fairly ornate design sculpted on her crotch, and indeed she does. 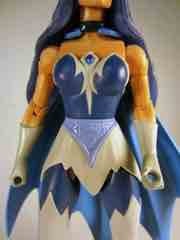 THe whole outfit is largely pretty simple, and the overall design and sculpt is pretty excellent. The execution is also good, but suffers a recurring problem of swapped limbs. The forearms look a smidgen off, and it turns out that most samples were swapped. 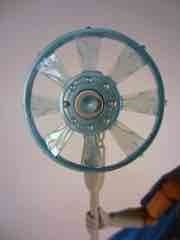 Odd, indeed, but not without precedent. 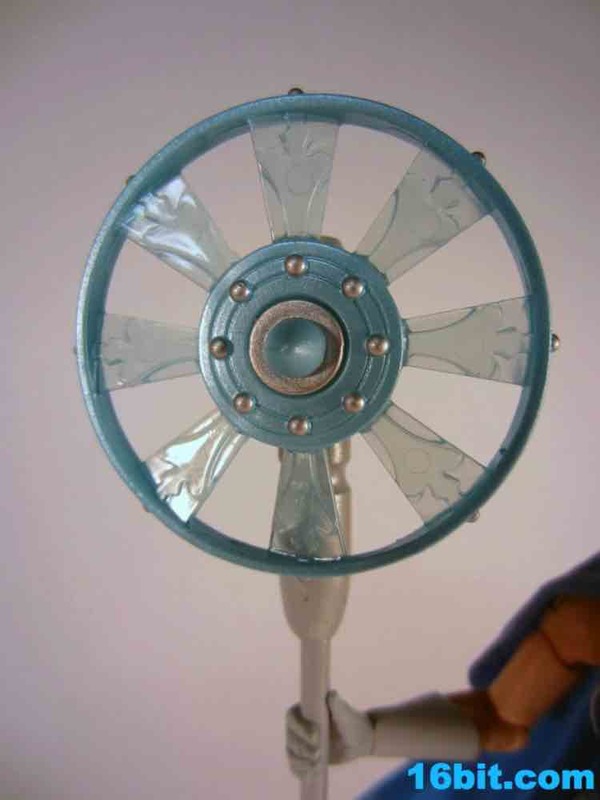 You can find numerous tutorials (and videos) showing how to swap them back with hot water or a hair dryer, if you're so inclined. 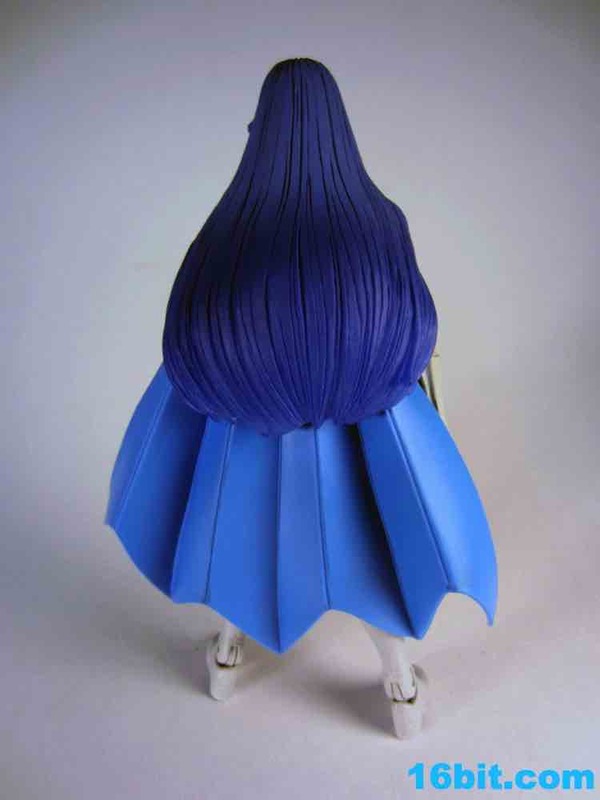 As of when I write this I'm not sure if it bugs me enough to change it... right or wrong, it always feels weird changing the figure from its factory-delivered state. 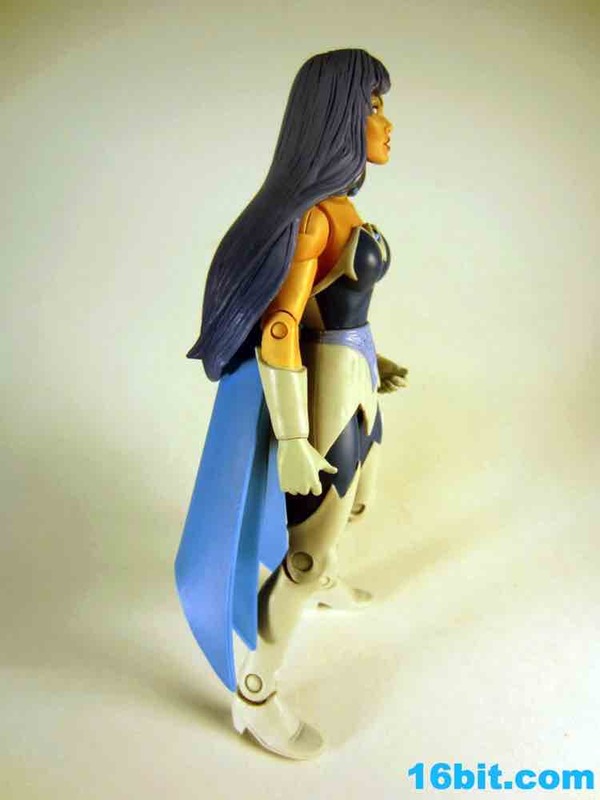 With about 18 points of articulation, this figure (and this entire line) is at a point where both the best and the worst a figure can do is meet expectations. 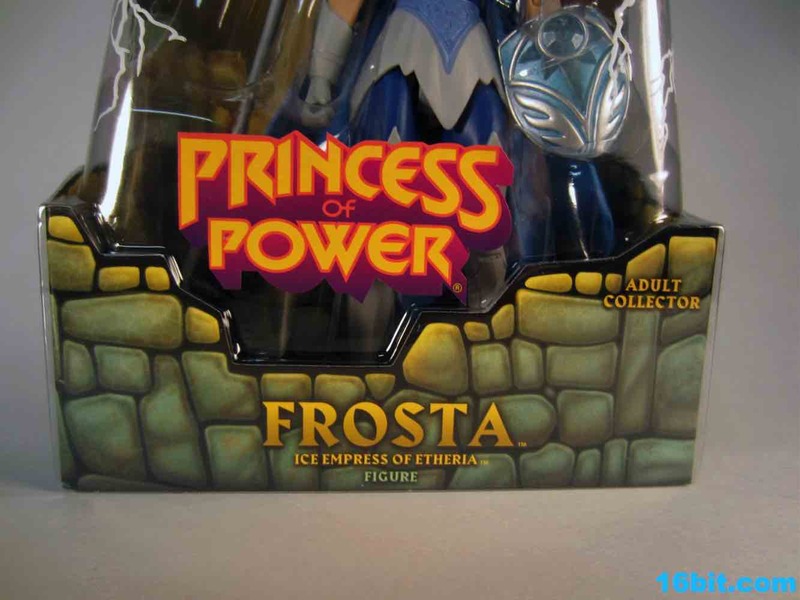 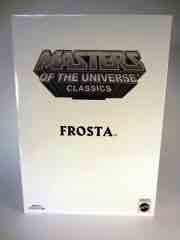 If you have Battleground Teela or any of the more recent figures, you more or less know what to expect from Frosta. 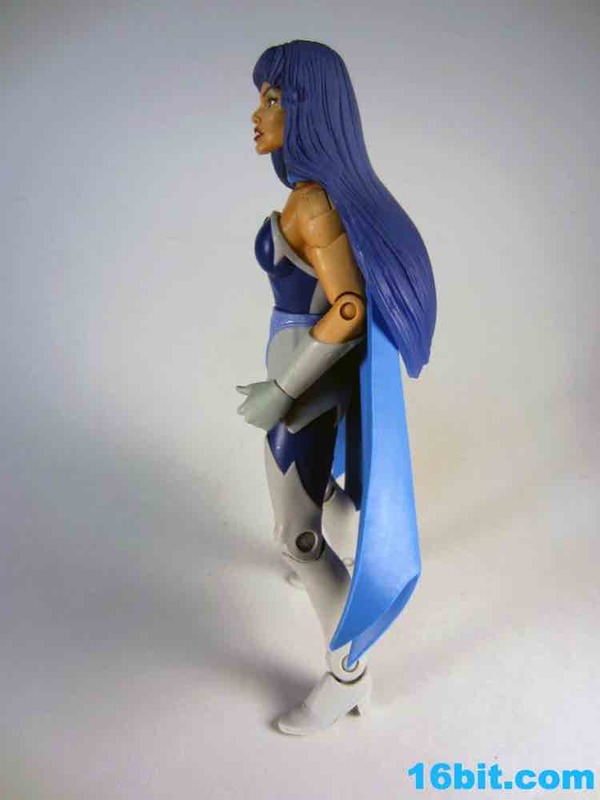 She looks good, if you can get past the idea that your subscription resulted in you buying a doll reinvented as an action figure she's not a bad addition to your toy shelf. 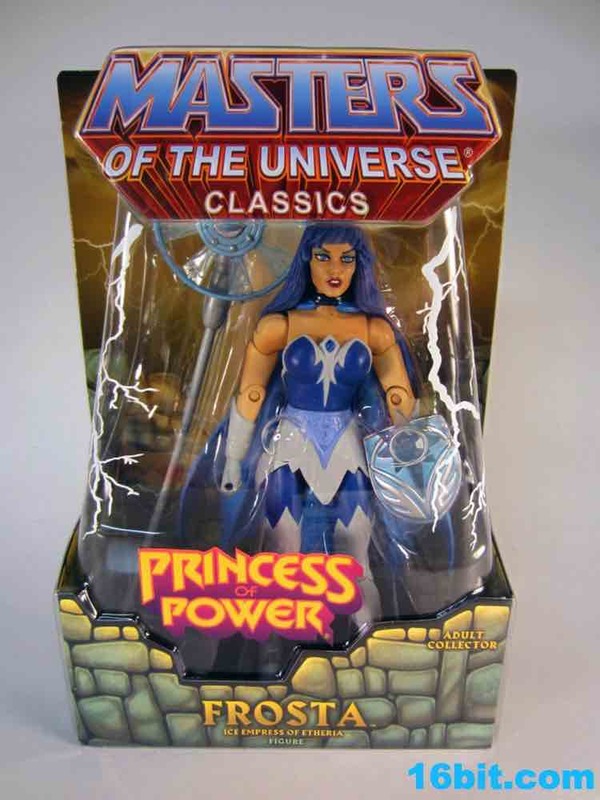 The heroes from Princess of Power aren't quite as interesting as the bad guys, and Mattel has been pretty good about making sure Horde members like Shadow Weaver and Catra look great, plus 2013's Octavia (the Octopus Woman) looks good so far too. 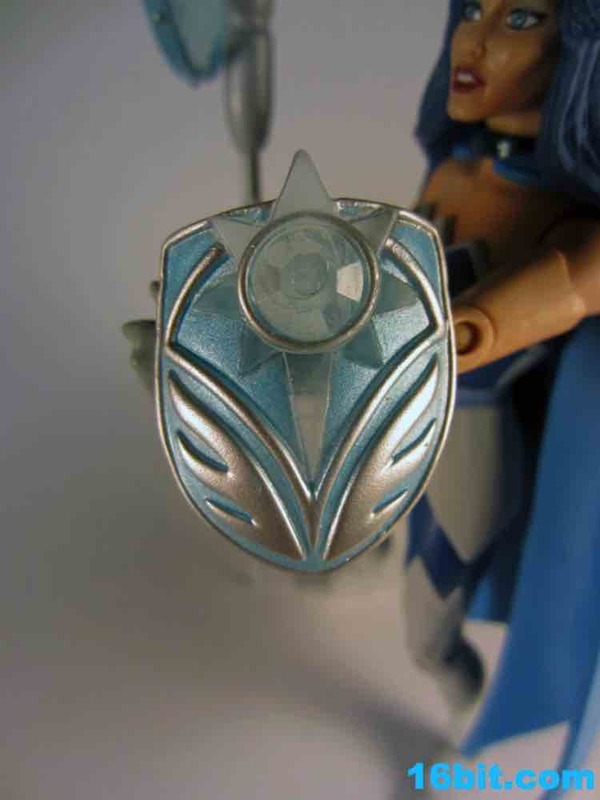 If the arm thing doesn't bug you, this is a really nice action figure. 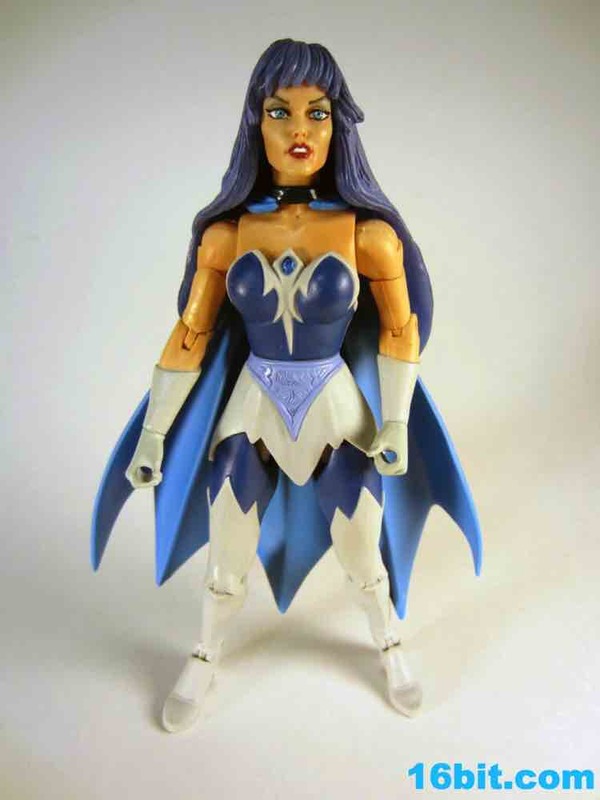 If memory serves, she's also the first update of a vintage "Great Rebellion" Princess of Power character that a) had a vintage toy and b) is not She-Ra. 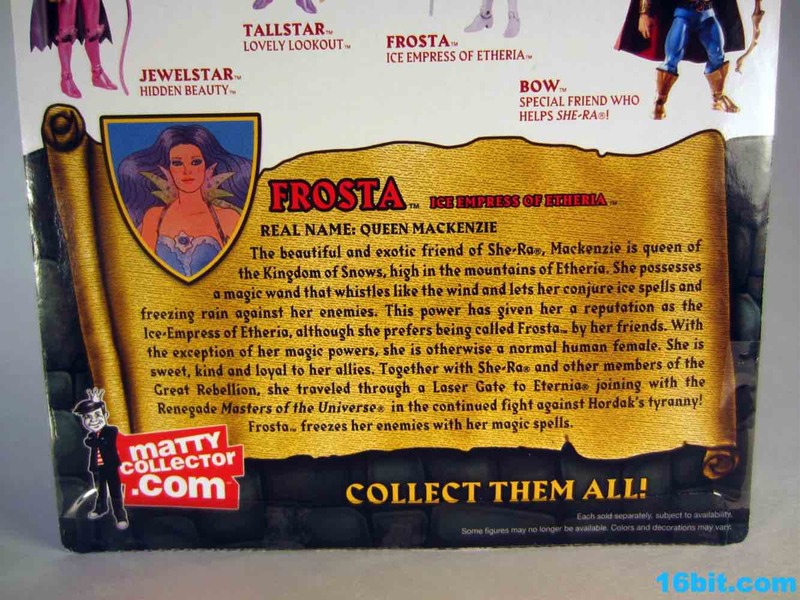 Earlier in the year we got the Star Sisters, which were based on prototypes from the 1980s. She sold out in a reasonable amount of time, so hop on eBay if you want one. My guess is you won't want one, but you won't be sorry if you pick her up.